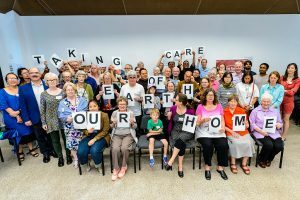 Close to 300 people joined the Australian Religious Response to Climate Change Living the Change events last weekend and committed to further steps for a safer climate. You could join this new faith-inspired movement. In Melbourne, those concerned with climate change met at Melbourne’s Multicultural Hub. Religions for Peace Australia was a sponsor for this event. Join us to celebrate LIVING THE CHANGE in Western Australia where Anglican EcoCare Commission invites you to join their Picnic at Gathering at Russell Square, Northbridge on the afternoon of Saturday, 13 October. Living the Change is brought to you by Australian Religious Response to Climate Change, Religions for Peace Australia and United Religions Initiative. 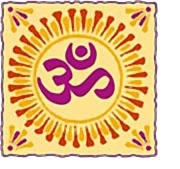 Living the Change is a multi-faith sustainable living initiative designed to support and celebrate people of faith making personal behaviour changes in three areas — transportation, home energy use, and diet — which all have a high impact on climate change. The initiative is led by a diverse religious and spiritual leaders working together with scientific experts in sustainable consumption practices. In Australia, the Global Week of Living the Change will be celebrated in Brisbane, Sydney, NSW South Coast, Melbourne, Hobart and Adelaide. Join us to celebrate LIVING THE CHANGE together at the UTAS Multifaith Centre, Sandy Bay on the afternoon of Sunday 14th October 2018 working together towards creating a flourishing world for all. We gather as members of diverse faith communities and those who care for our planet to share our stories of change, transformation, and regeneration. Living the Change is brought to you by Australian Religious Response to Climate Change, Religions for Peace Australia and United Religions Initiative. Join us to celebrate LIVING THE CHANGE together at the Pitt Street Uniting Church, Sydney, on Saturday 13th October at 12:30pm, to celebrate people’s efforts to walk more gently on earth. Believers around the world are participating in a faith-led initiative to promote reasonably ambitious lifestyle changes in the areas of transport, diet and/or energy use. Living the Change is brought to you by Australian Religious Response to Climate Change, Religions for Peace Australia and United Religions Initiative. Across Australia, Australian Religious Response to Climate Change supporters – and fellow travellers of good will – will have the opportunity to attend Week of Living the Change celebrations in the week of October 7 – 14. Here, we bring you video of Australians from different faiths and religious traditions on why they are Living the Change.